I had a problem starting my bike after stalled it - bike was hot after town ride. No problems when bike started 30 minutes later - so it cooled down by then. My battery is new - I had a R/R failure recently and the battery has been changed as a part of the repair. I read our forum and symptoms indicated starter motor failure. Bike is 2012 and just hit 22,000 miles. I removed the starter motor but to my surprise Denso's part number is 428000-5541 - neither 5540 or 5542 which is quoted as an old and new starter motor on the forum. So what is? Does anybody came across this starter motor? Maybe it was replaced in the past? I've bought the bike with 13k miles on the clock from a dealer. I know they can fail as early as 10k so maybe it's been replaced already? Looking at the brushes and I'm not sure if I need new set. Commutator looks dirty but the biggest problem seems to be one of the magnets that fell off the housing. You can see marks on one and some on the rotor. Can I glue the magnet on? Would epoxy be good enough to hold it in place? ... and also shown as the latest motor superseding the original on the early Tigers. I agree, the brushes (and general look of the motor) look fairly new, just a light careful clean of the commutator should be enough, doesn't need cutting. As a (rough) guide lock the brushes back in their holders as T800XC explained and check their length. You can see that the new brushes in the picture appear to only be a few mm beyond the brushbox, so if yours are around level I'd happily reuse. I think you really have been unlucky in that magnet not being fixed properly. If there are no signs of excess heat on the casing or external paint I would do a search for information regarding a suitable fixing material or contact a 'alternator & starter motor refurbisher' and seek some info. Epoxy does sound reasonable and likely they use a blob of the same stuff that the commutator wiring is covered with, which looks like common Araldite 2 pack epoxy? I would also 'gently' use a screwdriver and prod and check the security of the remaining magnets while there. Starter motor is up and running now. I glued the magnet into the housing. Only time will tell if it will withstand vibrations in service. On closer inspection I found the magnet had next to nothing glue in the back. See pictures below where I highlighted what I think is all that's been applied during production. Other magnets seem to have the glue all way round so they stay in place - at least for now. I'm disappointed with poor quality of the starter motor in this case. To me it's a manufacturer's fault (Denso's not Triumph but Triumph decided to go with Denso as the supplier). This is another premature failure on my bike. You can say that every bike can experience component's failure but I'd like to think that one won't have all the problems you may have. Triumph Management, I hope you're lurking on this website because you have to try harder. All sorts of probems have been raised on this website regarding systemic failures in Denso Starter Motors, this is yet another. Time to find a better supplier. Denso is proving to be the cause of many a Tiger stopped in its tracks, and giving Triumph brand a black mark. And then charging like a wounded bull for a replacement motor adds insult to injury. Does anyone actually know where I can get parts from in the UK? 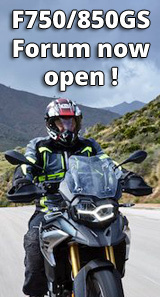 ie a brush kit for my 2010 tiger 800? Triumph are telling me its a sealed unit and no parts available. I'd start with an auto electrician, or a replacement from Ebay. Several Triumph models using the same starter. I've just experienced the same problem. 2012 Tiger 800, 39k miles. Air temp is high at the moment and when the engine is hot the starter will not turn over, almost like a flat battery, but the battery is only 2 months old. Leave it in the shade for ten minutes to cool down, and it spins and starts easy. I'm getting a new starter, but will examine the old one when its off the bike. Seems that only source is in Germany. http://www.al-electric.de.